Toronto criminal defence lawyer David Faed finally cited by Law Society for unprofessional conduct for advertising in neo-Nazi tabloid Your Ward News – more here. i. The expert report on the anti-women hatred from James Sears and Leroy St Germaine that filled Toronto tabloid Your Ward News can be found here. Many thanks to Professor Janine Benedet of the University of British Columbia faculty of law for her work in assisting the criminal prosecution. ii. I note with sadness the death of former Ottawa Member of Parliament Paul Dewar. 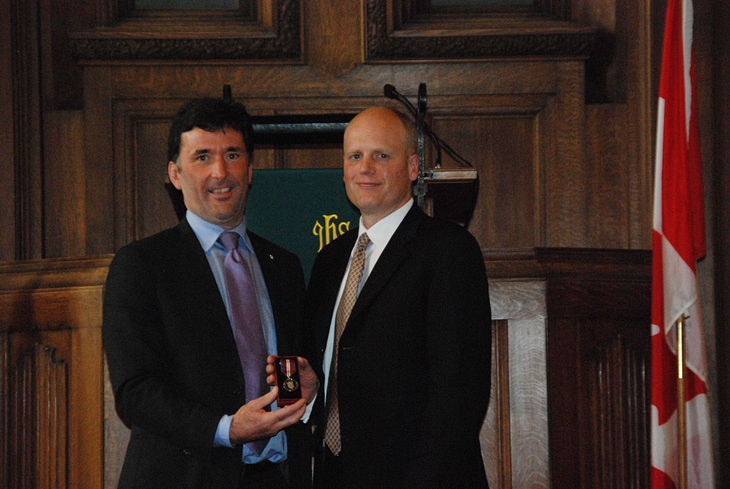 I had the honour of receiving my Queen’s Diamond Jubilee Medal from Paul and extend my condolences to his family. iii. A murderer in Quebec inspired by hate propaganda has been sentenced to life imprisonment for the killing of six men at a Quebec City mosque in 2017. Statement from the Canadian Anti-Hate Network here. On 24 January 2019, Justice Richard Blouin found James Sears and Leroy St Germaine guilty of the wilful promotion of hatred against women and the Jewish community as a result of their hate propaganda published in Toronto tabloid Your Ward News. As part of the criminal prosecution, the Crown Prosecutors obtained an expert report from Professor Derek Penslar of the University of Toronto (and Harvard) that dissected the anti-Jewish hate propaganda and placed it in its historical context – more details here. Donate to this important effort!